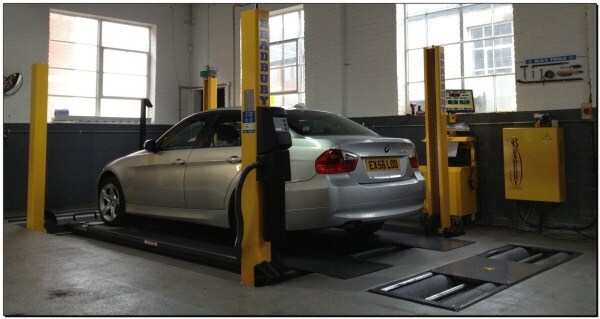 Onsite BMW MOT testing using our state of the art test lane. The MOT test confirms that at the time of the test, without dismantling, the vehicle can meet the minimum acceptable safety standards required by law. This test is required by law every 12 months. Unlike other vehicle repairers, all of our MOT tests are carried out onsite at Grosvenor Motor Company, Richfield Avenue, Reading. We do not move your vehicle to another location. HOW OFTEN DOES MY CAR NEED A MOT? – All vehicles three years old or over must have an MOT test every year. HOW LONG DOES A MOT TEST TAKE TO COMPLETE? – The MOT is fast and fair. On average, 50 minutes is enough time to complete the test. DO I NEED MY PREVIOUS MOT CERTIFICATE? – No, all of your vehicles details are all stored electronically with VOSA so the previous certificate is just for your own reference. DO I NEED ANY OTHER PAPERWORK WHEN MY VEHICLE COMES IN FOR AN MOT? – No, just your vehicle and keys are required. 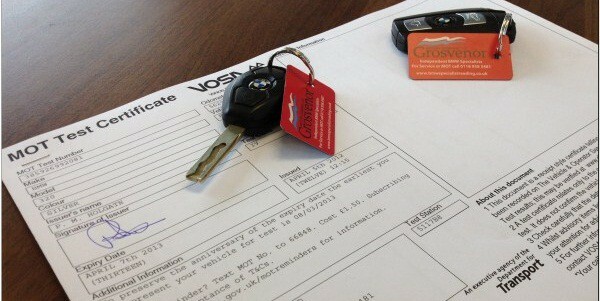 WHY SHOULD YOU BRING YOUR MOT TO US? – We understand the importance of your vehicle. Rest assured its in safe hands when your pride and joy is in our care.